Taking Jesus to the Cities! What does it look like to take Jesus to the cities of the 21st century? Sunday Night Discussions is back this week and we’re asking that very question. It is estimated that today over half the population of the earth lives in cities and outlying areas. This change in global demographics also touches race, ethnicity, and religion. How can the Kingdom of Heaven be advanced is this new world reality. Join Robert and me here Sunday at 8p central as we welcome Luke Greer who serves with Global Cities Initiative and the Orchard Group. Orchard has been planting churches since 1948 in New York and is now reaching out into the major cities of the world.How big of an issue is this and how can we be involved? Feel free to send questions in early via here or our Google Plus page. During the show questions and comments can be sent in via both mediums and we will be giving away a copy of Why Cities Matter by Stephen Um and Justin Buzzard toward the end of the show. Forward in the book is written by Timothy Keller. 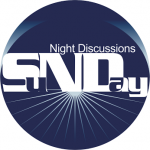 So grab a friend and plan to participate as we kick off another season of SND. BTW for the Dallas and NY Giants fans, we will have an audience member keeping us posted on the game score. Yup . . . it’s going to be great!